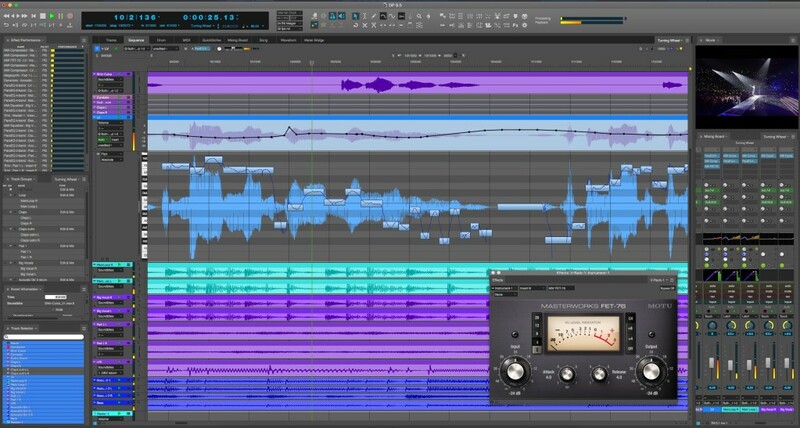 DP, aka Digital Performer, is that DAW everyone forgets about, but really shouldn’t. Now on both Windows and Mac, and a long-time staple of hard-core niches like the TV scoring business, DP has quietly added all the stuff that makes using a DAW better, without too much extra stuffing, often advancing without any hype past other rivals in key areas. But even doing that, it’s hard for a DAW to stand out. So, how about this: how about if a DAW let you manipulate time and pitch in a way that sounded less artificial? Wouldn’t that be a reason to use it? So, the pairing of Zynaptiq with MOTU gets pretty interesting. In the case of Zynaptiq, “artificial intelligence” and machine learning meet new advances in DSP. Whatever’s going on there (and I hope to cover that more), the results sound really extraordinary. Every time I’ve been at a trade show where the developer was exhibiting, people would grab you by the arms and say, have you heard the crazy stuff they’re doing it sounds like the future. That was aided by a unique demo style. But there’s a big leap when you can integrate that kind of capability into a DAW and its existing workflow, without all the weird extra steps required to go back and forth to a plug-in. And that’s what DP 9.5 does – in an update that’s free for all existing users, adding Zynaptiq’s ZTX PRO tech. There are “quality” presets, too, to help you find the right settings. Unrelated to all this, 9.5 also has a window that makes it easier to monitor processing load, so you can identify CPU hogs. (Heck, that may mean DP is now part of my standard test suite for plug-ins.) This combines with other unique performance management features in DP, like “pre-gen” capability, which eases the load on your CPU by pre-rendering audio.